Understanding the place in which we live will result in better decisions about how to care for the land. The IRRC in cooperation with the University of Idaho, Idaho teachers, and other curriculum specialists created several lessons, hands-on activities, and resources for your classroom. Please contact IRRC or complete the education materials order form on the left. All materials are avaialable for free! IRRC distributes an Idaho fourth grade history booklet called “Rangeland—Idaho’s Roots.” IRRC provides these free booklets to thousands of children each year as part of the curriculum. Click here to order the free materials. 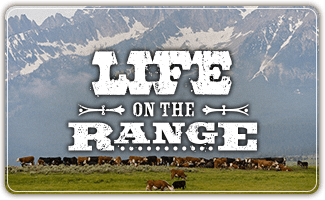 The IRRC sponsors Idaho FFA Rangeland Assessment Career Development Events each year. This year the event is scheduled for Oct. 8-9 in the Treasure Valley. Contact the IRRC office for more details. These are opportunities for students to learn about rangeland ecosystems, native and non-native plants, shrubs, forbs and more in the field — skills that will help them prepare for a career in rangeland management. The IRRC’s high school curriculum is available online to help with the background and preparation for this event.